Power Supply:	110V-250V AC 50-60HZ Output +18V 1.5A -18V 1A Max. Scan speed: More than 30kpps ILDA @ 8° Mirror Type:High quality dielectric mirrors reflectivity > 97% (25°-65°) at 400nm-700nm (RGB system application) Mirror Size: X:9.5X6.5X0.7mm Y: 12X6.5X0.7mm Mirror Reflectivity: >97%(25°-65°) Max. angle: 55° Signal Input: Analog ±5V Driver Adjustments: Gain, Size Position, Linearity, Damping, Servo gain. 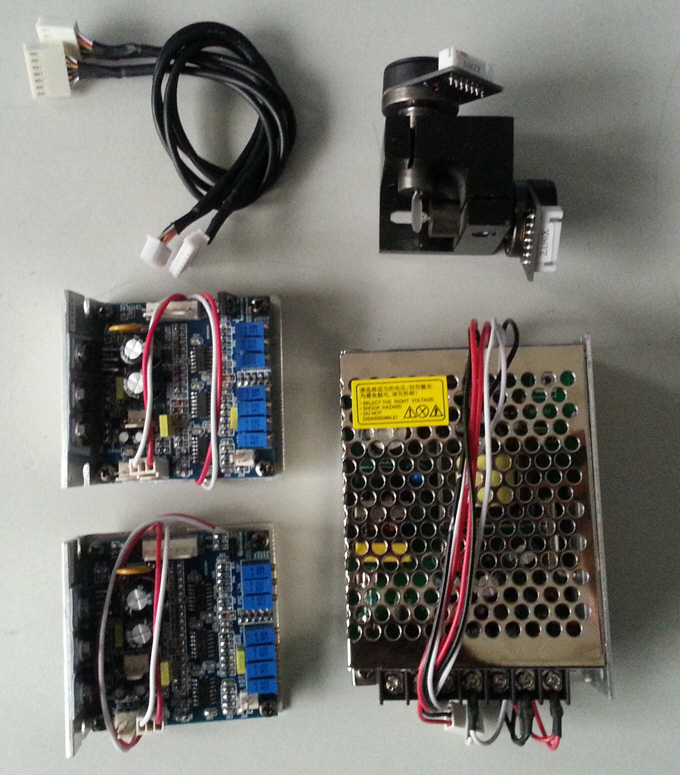 Components Part: Scanner head, Amplifier/Driver board, Cable, Mount, Power supply, DMX PCB.